Motopeds combine the best qualities of motorcycles and mountain bikes. What if you could combine all the best qualities of a mountain bike with the horsepower of a motorcycle? It’s not a backyard metal shop experiment — it’s a real thing called a Motoped. Created by the Kansas City-based company Motoped, these bikes are a revolutionary mode of transport. The Motoped gets 100 mpg and is built to haul gear, making it a viable car alternative if you live in a city. You can pedal your Motoped until you become exhausted, then switch on the 49cc engine to power the rest of your ride. Like the similar-sounding moped, a Motoped will travel up to 25-30 mph — but you can still ride this bike even when you don’t need an artificial boost. Motoped offers three distinct bikes, each geared toward a different type of use. Varieties range from the everyday Cruzer to the rugged Survival models. You may have heard about the Motoped when it announced the appropriately named BlackOps Survival model in 2014. The post-apocalyptic machine gathered a lot of buzz from tech and cycling press for its Mad Max-inspired design. Motoped’s concept model seemed custom-made for doomsday preppers, boasting a smattering of tools and weapons including a compound crossbow, shovel, harpoon, climbing gear, and knives. Unfortunately for all those getting ready for WWIII, you can’t buy the BlackOps Motoped. You can purchase the Motoped Survival bike, but you’ll have to supply your own weapons. It sounds far-fetched, but the Mad Max Motoped isn’t that far of a stretch from the company’s roots. The first Motoped came in the form of a kit for anyone who had a mountain bike, spare dirt bike engine, and DIY ethos. When gasoline prices started to skyrocket around 2008, Motoped founder Cam Woods noticed people were starting to ditch their cars for mopeds and motorized bicycles. The smaller vehicles on the road sounded “like a forest being cut down,” he wrote. So he worked to create a quieter, more sustainable alternative. Flash forward a few years to July 2013, and Woods launched his first Motoped Kickstarter campaign. Backers could fund the start-up company and receive the parts needed to attach a Honda pit bike motor to a bicycle. Neither the bike nor the engine were included in this DIY version, but that was by design. The original Motoped was meant to be highly customizable, so users could build the dirt bike of their dreams. Unfortunately for Motoped fans, the campaign fell short of its $250,000 goal in September 2013. The project wasn’t an outright failure — 132 people still pledged $160,850 toward the project. It was back to the drawing board for the Motoped. Woods redesigned some parts and found a new manufacturer who could make the bikes for a lower cost. 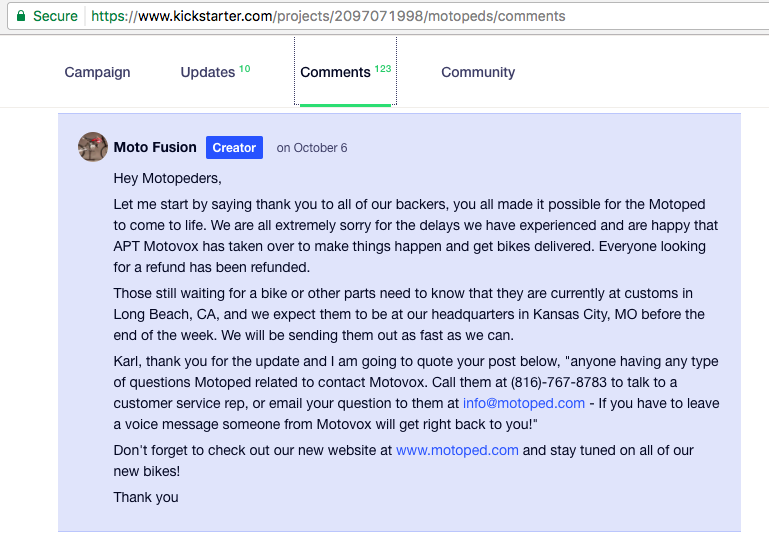 Three months later, the Motoped was back on Kickstarter. With a lower-cost product and smaller goal, the second iteration was a success. It only took a month to hit the $80,000 target. By the end of December, 301 people had invested $378,935 in the project. The next year would be a big one for Woods and his company, which was based in California at the time. Motoped was acquired by Kansas City-based APT MotoVox Group, Inc. and would go through a total rebranding. In October 2014, a new Motoped website and social media profiles debuted, and a community was born. In the years since, the company has built an engaged social media fanbase, with hundreds of thousands of fans and followers sharing their love of the open road. If you’re the type to say half the fun is getting your hands dirty, the company still offers the DIY kit that made the first Motoped famous. If you prefer to have all the parts in one place, you can order the full motorized bike. If you want everything but the engine, you can get that, too. Motopeds are as customizable as you want them to be. The company sells three different Motoped models today. Here’s a look at the key features of each one and where you can find a Motoped for sale. Motoped Cruzer is the most versatile of the three motopeds, built for everyday trips like running errands and commuting. If you’re looking for a car alternative, this motorized bike could work for you. Motoped Pro is like the grown-up version of the dirtbike you loved as a child. If you want to relive your Motocross days, this is the bike for you. Motoped Survival is the military-inspired model you’ll want if you suddenly find yourself in the midst of the zombie apocalypse. If you typically travel through rugged terrain, or need something to carry your weapons cadre, this motorbike could be for you. Each of these Motopeds are for sale online on the company website, along with any extra parts you may need. Local Motoped dealers also exist, though there isn’t a comprehensive list on the main website. Judging from social media comments, Motopeds are well-regarded by those who can get their hands on one. Fans often share photos and stories of adventures with their motorized bicycles on Facebook and Instagram. The testimonial section of the Motoped website also shares positive customer reviews. Comments on the Better Business Bureau website complain of shipping, supply, and delivery problems, with little response from the company. Many say their Motopeds never arrived, and the company has been unresponsive. 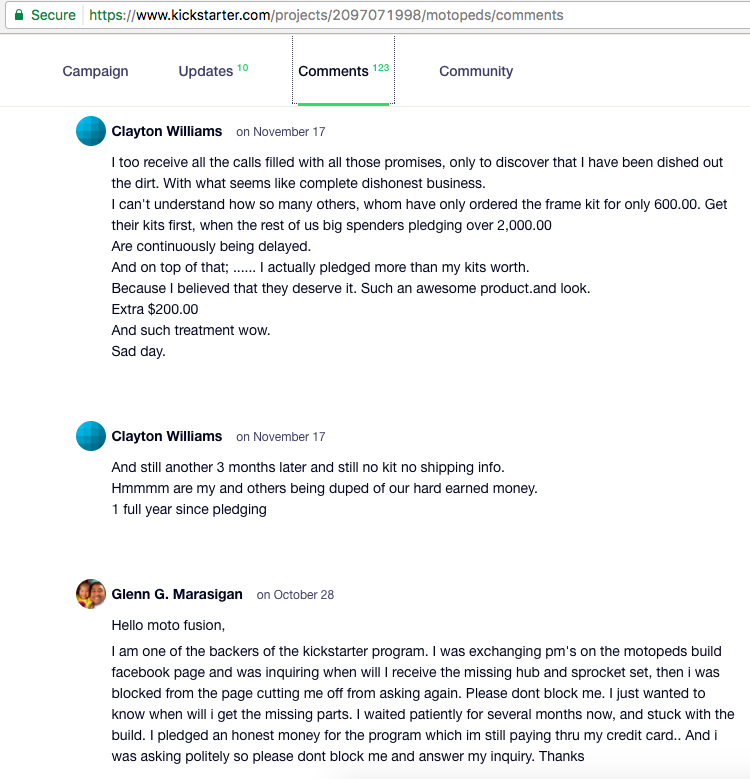 A look at the Kickstarter campaign comments show the same story. 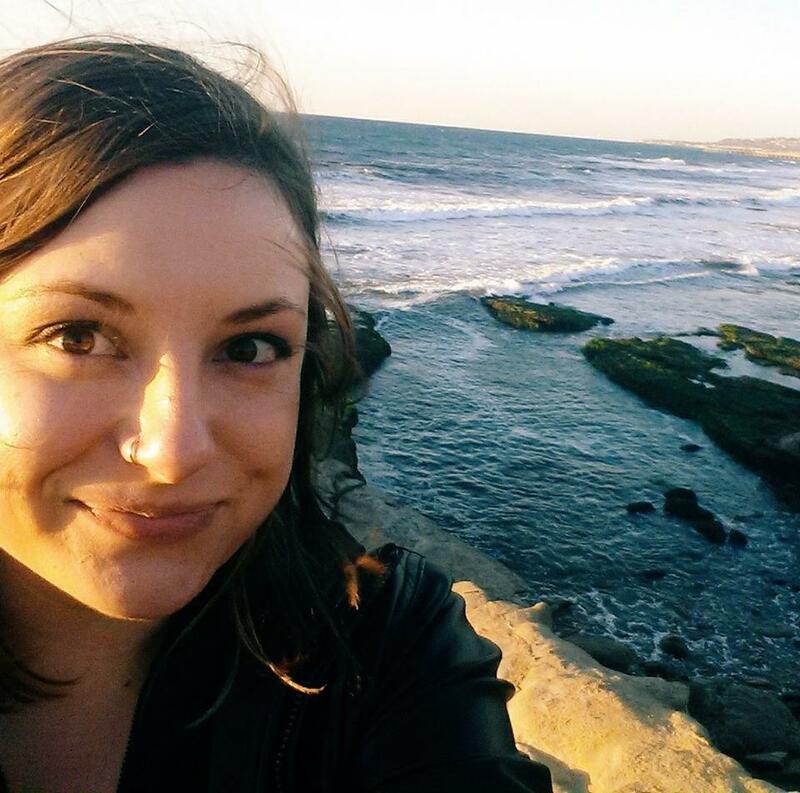 Many backers say they never received the product they paid for. Company responses to the complaints point to supply chain issues. Supplier shipments seem to face frequent delays, leading to customers receiving their Motopeds late, if at all. Overall, the verdict on Motoped reviews is mixed. The motorized bikes seem to live up to the hype — if you can get your hands on one. Supply issues and delays seem to make that a huge if. Should you trade in your car or analog bicycle for a motorized version? Maybe. It depends on whether you’re willing to gamble on actually receiving a Motoped. But should WWIII break out, the Motoped could be the perfect vehicle to travel the post-apocalyptic hellscape. "It sounds far-fetched, but that Mad Max Motoped isn’t that far of a stretch from the company’s roots." As a general rule, coconut oil made by a wet-milling process takes longer to expire.